Altrincham is approx 16 miles from the transmitter at Winter Hill, TV Aerial reception for this area in general is pretty good. 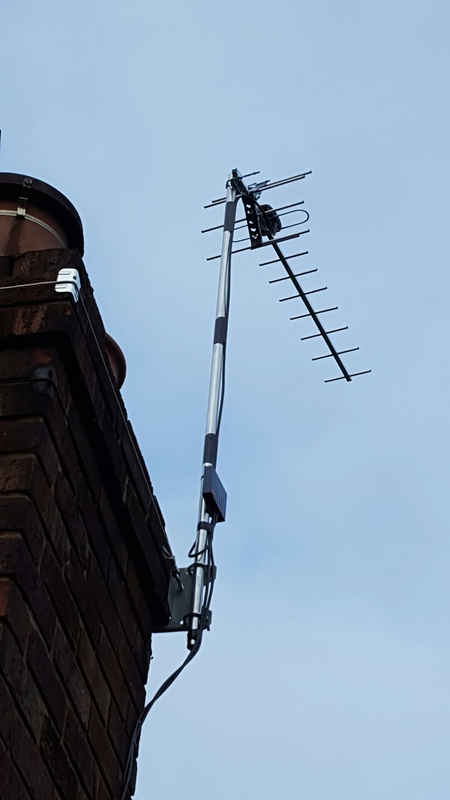 Here is an example of a 2 room aerial system fitted today by Aerial-tek the TV Aerial used is a Digital MZR12 Aerial fitted onto a mast with chimney lashing kit a 2 way Labgear masthead splitter and 2 cables all fully fitted for £100.00 complete, due to the good reception from Altrincham 4 rooms can be easily fed from the one TV Aerial. Only real problems with Altrincham are the trees if you are experincing problems or you after a new Digital TV Aerial for Freeview, Youview, EE OR BT Vision then get in touch.